Hello Friends, Spicy Squad Members, Authors, Fans, etc. It’s been so long to the point where pretty much all of my authors have basically stopped writing. And I take full responsibility. Without even knowing, you grow up, and you can do nothing about it. You can slap your beak all the time and yell at yourself, yet, you will never be able to go back to the child life you used to have. The adult world will always grab your flipper and toss you onto a new island you never imagined.. I, however, will not stop playing Club Penguin. I will go on it from time to time to hang out with my friends that I miss dearly, who probably miss my presence on the island of Club Penguin as well. And jeez! 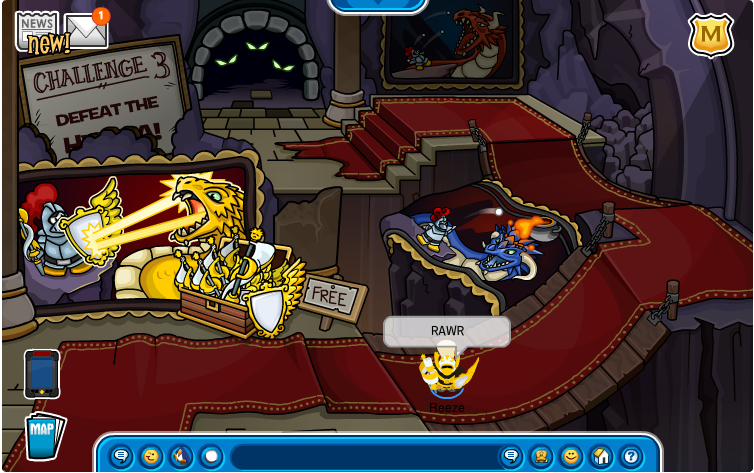 I should really feed my puffles and organize my igloo! It’s probably a wreck! Well, the point is, I’d like you, my friends, to join http://penguincity.com and continue to read this blog, and be on the look out for posts as to when I’ll be on Club Penguin, etc. I love you all, and it has been a pleasure for five years now, supplying you with Club Penguin cheats, hints, secrets, and guides. I am now going to enable comments on this post. I’m glad I got to post first on this. I have not logged on to Club Penguin in at least 2 months now. (usually just to see what the updates were.) 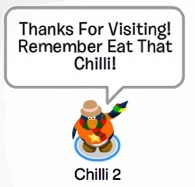 I’m glad you decided to blog about this Chilli, you’re very right. Club Penguin was a great part of our childhood that I’m sure we will never forget. It just kind of loses it’s “Magic” you know? A few months ago I introduced cp to my little brother and sister, which they loved. They play A LOT and have tons of friends that are always on to play with them. It’s fun to see them enjoying the game as much as I used to. When I first learned about this site I didn’t know much about the internet, wordpress, blogging, or even Club Penguin XD which you probably noticed back then. I have gotten a lot better at it today, and can still look back and remember all of the things you helped me with. 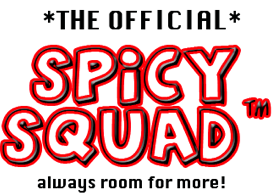 It was truly an honor to be in your Spicy Squad! So I just want to say thank you Chilli. If it weren’t for you and everyone I’ve met along the way, I would have quit Club Penguin long ago. Your right Pary. It does lose its magic. And I’m very glad your siblings are enjoying Club Penguin. It makes me happy that the joys of Club Penguin are still being able to be enjoyed by people. :’) And Pary, I’m glad to have helped you enjoy Club Penguin and the Internet. And it is fair to say that without you, maybe I would have quit sooner: you are truly an amazing friend. You have sticked with me through the end. But it’s not quite the end yet. I’d love to play Penguincity.com with you and keep talking to you on twitter. And see you on Cp from time to time. This site will be moving from WordPress.com to WordPress.org very soon. I disabled all comments on this site for good. (I believe… I might have to check that out again… not sure if I did it right LOL) Since this website has been inactive for a while, I thought I should switch gears a little. Also, my Custom CSS here is expiring very soon, so why not? I think I’ll finally have the chance to organize the site soon and change some things. I’ll hopefully have the chance to fix some design stuff too! I just have been so busy it’s crazy! I know I promised you guys I would do some changes in the past, but I never had the chance to, and I’m so sorry about that! But I think now I will finally be able to, so, stay tuned! An exact number of 104,000 hits! Wow! Thanks everyone! Keep visiting! Hi my name is Casror and WOW! NICE BLOG (grats on the 104000 hits)! 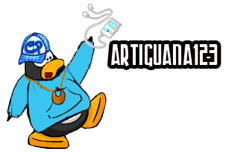 I just made a Club Penguin blog and I need more hits. If you put me on your blogroll I will put you on mine! I even have some RARE PENGUINS and a MEMBERSHIP to give away! Hey Chilli! Long time no see dude. Ye Knights Quest III Walkthrough! First, enter the Quest. You will see three (3) goblets as shown. Memorize the places of the colored beads. They will swap places and at the end you must guess where one (1) of the beads is. Walk to the next room. You will see this helmet! Pick it up (obviously). This next puzzle is particularly hard. You must click the buttons to open the gate (hint: the first RED button opens the last wall). The easiest way to complete this puzzle is : red, blue, yellow. Now, pick up this shield! It is VERY important! Note that in the three pictures, it shows you how to defeat the Hydra (yes, it is a Hydra and not a dragon!). The sneak peek said we would defeat Herbert in this party by throwing snowballs… Coincidence? Oh, gosh! 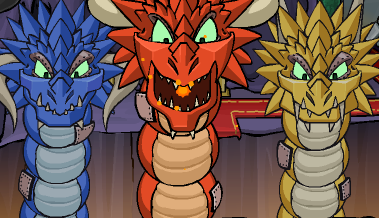 That’s more menacing than I thought… Thank goodness only one head attacks you at a time. And guess what? 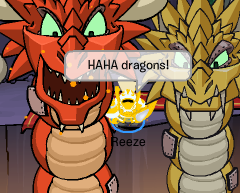 I fought alongside TylorK1 (Henry515, and author) and SugarXXXXX (another blogger)! Red Head (rhymes! )- Throw snowballs at it and avoid the fire. Do it quickly, because it recharges! Blue Head- Time your snowballs perfectly. Aim at the gold-melting pot right when it is over the Blue Head. The melted gold should harm the enemy! This head also recharges. Yellow Head- This is where the shield comes in! Wear the shield and walk onto the yellow-highlighted sections of the floor. The electric beam should reflect and hurt the Yellow Head. Great! Now there’s a path! Be sure to pick up this suit of armor. You probably have already completed this quest, so no puzzles need to be solved- BUT there is a new item to pick up! The Toothbrush Pin has returned, as well as the Piles of Gold. Same goes for this Quest. Pick up these items if you haven’t already. Be sure to pick up the new pin in the Boiler Room! Also check out the NEW Wizard Hat! It’s purple! This party has 11 items available for FREE! Sadly, the Magic Mirror only gives “maybe” answers. Probably because people were upset when it said mean things. The new knight costume has a special dance! Thanks for reading! Ask us if you need any more information or help. Thanks! Yeah, I noticed that Henry AND SugarXXXXX were on, and I was like, “Whoa! Triple blogger palooza!” Sadly, I didn’t find Sugar. 😀 I think you should put pictures of the penguins that work on this blog on the header. Should nms 30 and kincaid7 be on the blog anymore? I mean, they could be listed as authors but they haven’t done anything in a LONG time.